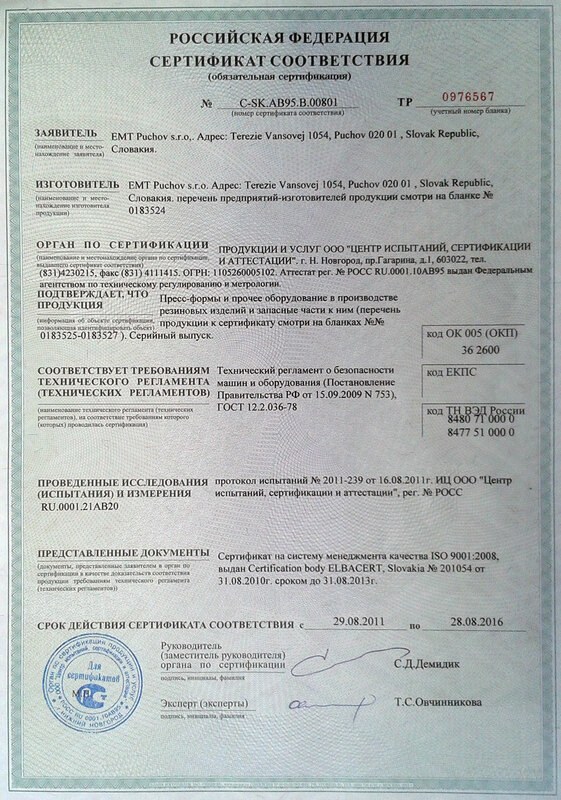 About Us - EMT Púchov s.r.o. bead rings tomorrow? You can. 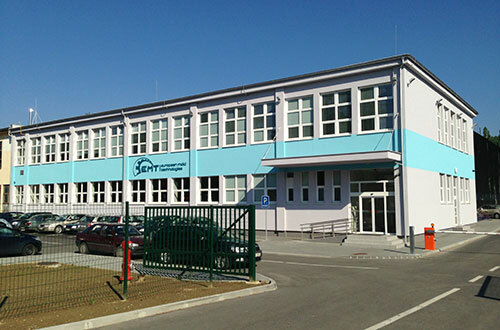 EMT Puchov is an independently operated Slovakian company, a member of international holding SAEHWA IMC and Quality Mold, INC., with over 30 years ‘of experience in tire molds, containers and related equipment. The main priority of EMT Puchov is to maintain complete know-how, skills, knowledge and processes and to develop new Technologies. 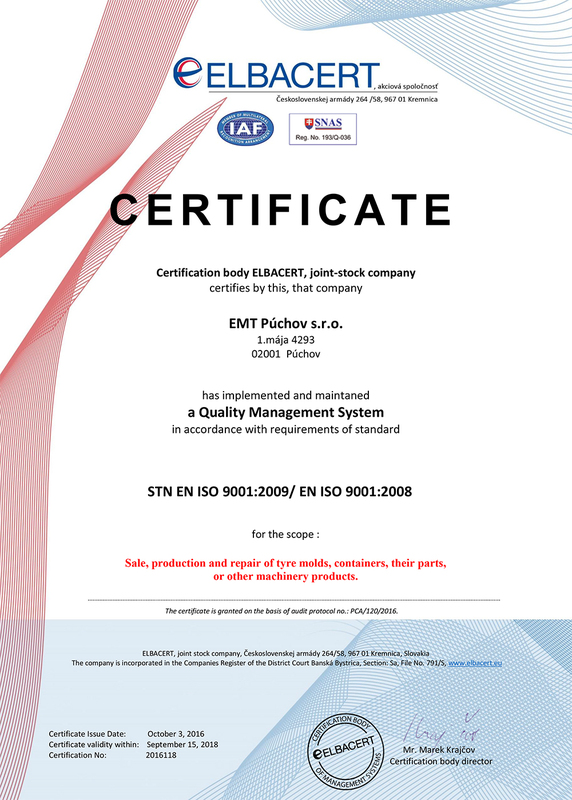 EMT Puchov has established and implemented a quality management system which is continually improving accordance with the requirements of ISO 9001:2008. The company supplies its products to the countries of the former Soviet Union and for this purpose has been certified by Nizhniy Novgorod center for certification. 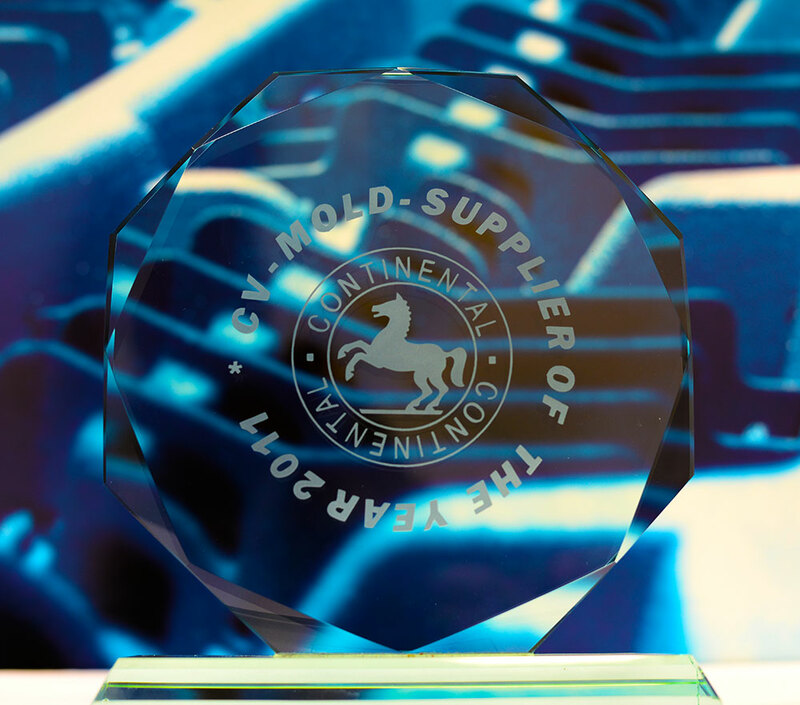 As a proof of our quality work and supplies, we were awarded "supplier of the year 2011" by company Continental.